One of the most exclusive Miura still in existence is the Miura P400 Roadster, which was presented on the 1968 Brussels Auto Show. 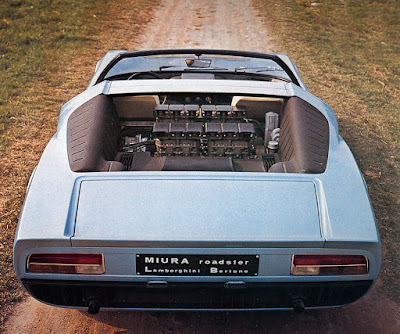 Designed and built by Bertone as a concept prototype, this open version was not just a regular Lamborghini with the roof removed, unlike the 350 GTS presented by Touring a few years earlier, the Miura Roadster was almost completely redesigned, with excellent taste as always. 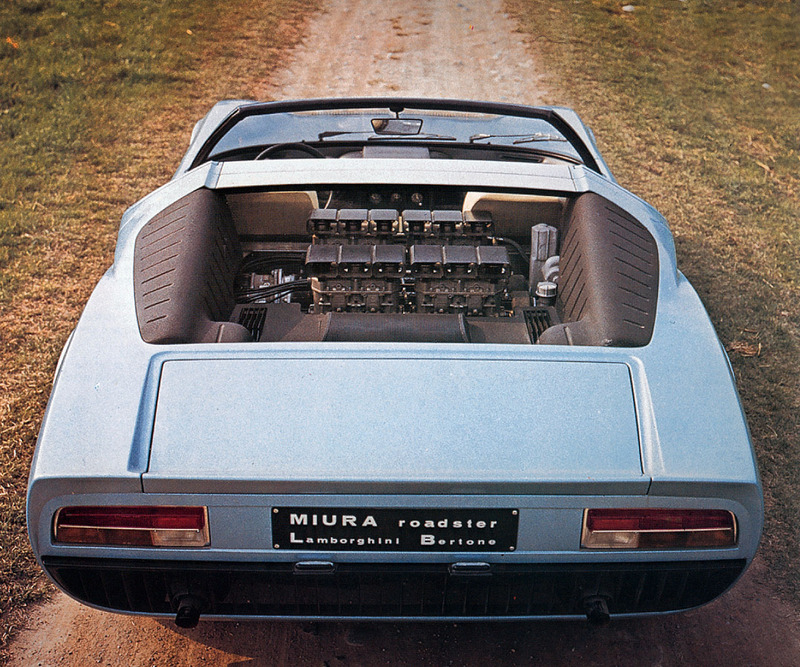 The Miura was not a good choice of model for a soft top, the car had well documented issues with torsional rigidity, removing the roof would just exacerbate that problem. 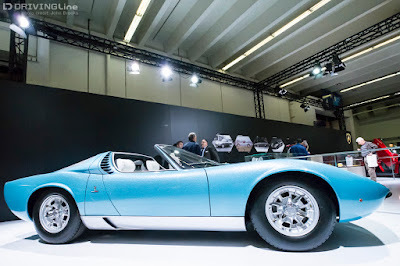 With this in mind the P400 Roadster had to be completely reworked by Bertone’s Marcello Gandini, who strengthened the chassis and made substantial changes to the rear of the car. 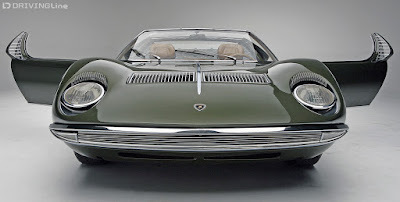 In order to avoid potential turbulence at the proposed top speed of 186 mph the angle of the windscreen was lowered, a spoiler was added at the rear, the engine louvers were taken away, and the exhaust re-routed. 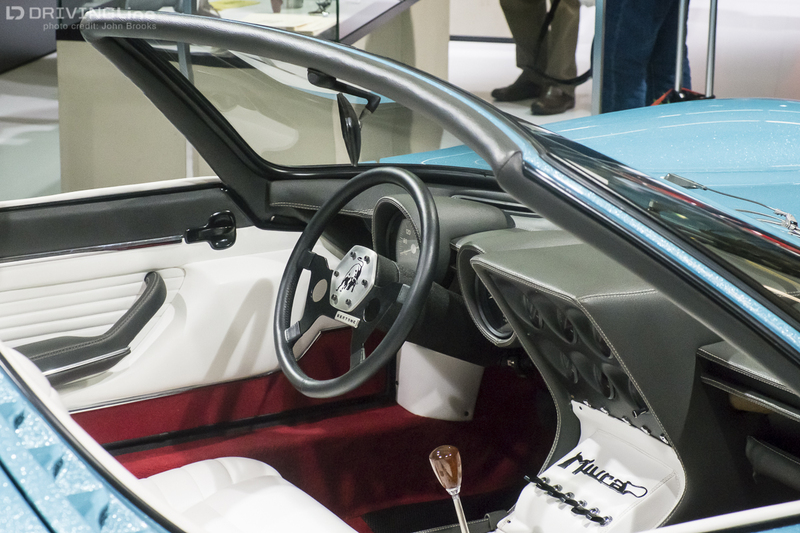 The interior also had to be modified, mainly because the switches from the overhead console found inside the regular Miura had to be installed elsewhere inside the car (they would end up on the central console), and the Bertone steering wheel showed a great similarity with the one found inside the Marzal and the Espada prototype ... both built by Bertone too. The car was finished in a bright-metallic azure blue shade, while the interior was upholstered in a magnolia (almost white) dye leather (just like on the first 350 GTV in fact). The impact this show prototype had in Brussels and later on in Geneva was massive, but this was to remain stricktly a one-off, many owners requested a Miura Roadster from the factory, but Automobili Lamborghini SpA never officially delivered a Miura Roadster or even made a replica, while as mentioned earlier Bertone had never built a top or side windows for this prototype. 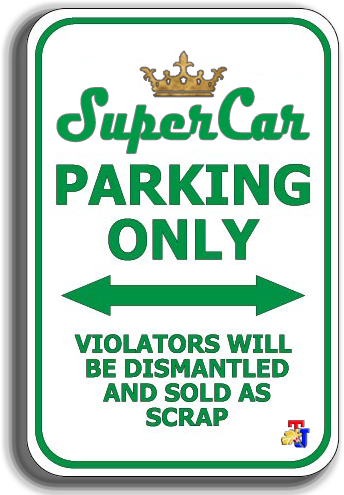 This car was sold to the International Zinc and Lead Development Association (ILZRO) who used it as an exhibition tool to demonstrate the properties of the metals they were keen to promote. 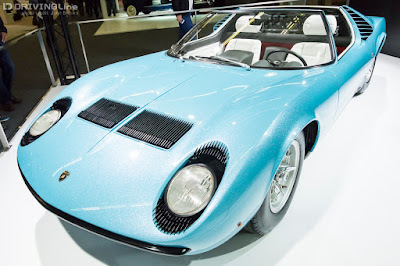 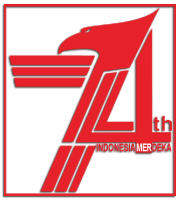 With help from the factory and Bertone they changed the car and its color, renaming it to Zn75.